As I’m writing, I cannot adequately express how wonderful it is to be able to share my feelings and reflect upon different aspects of my spiritual journey. I know that some people will not accept or appreciate what I am sharing, while others are attracted to my writings, appreciating their level of authenticity, recognizing and gleaning from the writings what they may need to help support their spiritual journies. I know this; by putting my thoughts about my walk in Christ Consciousness into writing, I’m taking the first steps past the spoken word in affirming my commitment to walking my talk and living an abundant Christ Consciousness life. Over the next few days, I feel the need to reinstall within myself some of the basic living affirmations that help me to remember to reinforce and reaffirm who I am. When I meditate upon these powerful statements, they seem to self-activate, bringing the desires of my heart to manifest with astonishing speed. 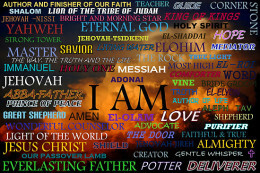 You may want to use these I AM affirmations in any way that supports you best. I print them out, putting them in conspicuous places throughout my home, reading them as I pass them by during the day. I have also found them to be super powerful when I meditate upon them just before going to sleep. I can promise you these affirmations will come to life in you. As we all know we get the things in life on which we focus, so why not focus on only what brings you love, goodness, happiness, health, peace, and joy. I have organized the affirmations alphabetically, so today I’ll share my favorite affirmations starting with the letter A and each day after, I will do a letter of the alphabet. I pray, as you meditate on your affirmations they will manifest for you at this very moment, and you will have the desires of your heart. I AM ACCEPTANCE – There is nothing for me to resist. I AM ACCEPTABLE – There is nothing that resists me. I AM ADORABLE – I am loved and cared for just for who I am. I AM AGELESS – I am one with the great I AM, so I have no beginning or ending. I AM AGREEABLE – I am always able to find commonality with my fellow man. I AM ACCOUNTABLE – I take responsibility for my thoughts, attitudes, and actions. I AM ACCOMPLISHMENT – I can do all things through Christ who strengthens me. I AM ACHIEVEMENT – I can count all things a joy for I am an overcomer. I AM ADAPTABLE – I can serve, or I can be served its one and the same. I AM ADVENTUROUS – Every moment of this life is pregnant with new insights and awakenings. I AM AGILE – I take great care of my body, mind, and spirit. I AM ALERT – I live in this moment, so I am perfectly present. I AM AMBITIOUS – I live to serve my fellow man. I AM APPRECIATIVE – I feel a total sense of joy with every breath. I AM ASSERTIVE – Being one with my Creator makes me fearless. I AM ATTENTIVE -I am able to give 100% of myself to whatever is before me. I AM AUDACIOUS – I am bold, fearless and self-assured. 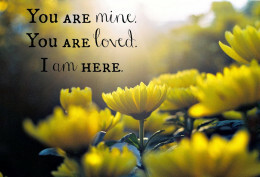 I AM AWARE – The kingdom of God is within me, and the Father and I are one. I AM AUTHENTIC – There is no one else like me. I am fearfully and wonderfully made. I AM ATTRACTIVE – Being a loving person, I attract other loving people. I AM AFFECTIONATE – I love humanity and all creation. I AM AMAZING – My wish is my command. I live a magical life. I AM ANIMATED – The Spirit energizes me, enlivening every cell. I AM ANGELIC – I always bring good news and miraculous solutions to life’s challenges. When I was younger, I did not understand that the Spirit and I were one. I only knew that I longed to know the will of the Spirit, to be filled with the Spirit, and to love myself and others as the Spirit loved me. So, like a thirsty man in the desert, I have searched oasis after oasis, followed many “narrow pathways” that promised me living water. Being lead to the wells, I drank deeply, but never was my thirst quenched, and never did the water come freely. I became disillusioned and was left tired and empty. My thirst is unquenched. Leaving my body, soul and spirit depleted. Year after year I searched, for the Spirit, the living water that would quench my spiritual thirst. Days turned into years, years into decades in this spiritual desert, I would never give up, until I died. Nothing could stop me, so I continued to search for that “living water,” drinking from the sickly wells, followed by one disappointment after another until I could no longer go on. My body in a state of complete depletion, and yet the thirst was still there, but being too weak, all I could do was to lay quietly and let my body, mind, and soul be as they were, and accept my condition and put my fate in the hands of the universe. I rested and even feel asleep. When I awoke, I looked into the silence of the desert, and like a mirage shimmering out of desert heat I saw a figure, a form, a man walking on the heatwaves, he was beautiful, and had a flask of water strung across his chest. He came to me, knelt at my side, gently lifted my head, put the drink to my lips, and for the first time in my life’s journey, living water flowed across my lips, and my strength was restored. I looked deeply into his eyes and thanked him for coming to me when I had given up all hope. He only said it is good that you have given yourself up. Now rest, relax, be quiet, knowing I AM with you, for we are one, and I am you. I will always be with you in this world without end. I marvel, I thirst no more. My thirst is quenched, I AM Spirit in Spirit, and so I relax in real knowing that I AM one with the Spirit. How is it possible that only when I gave up altogether and felt I had nothing, that I gained everything? 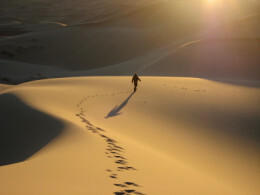 My years in the desert are but a fading memory, the agonizing search, so many false promises. Only when I allowed the stillness of exhaustion to seep into my entire being, did I surrender to what was already within and my thirst was no more. I hope my story, helps you on your life’s journey. Maybe you will not have to suffer the empty deserts, or narrow pathways leading to sickly wells. It was only when I reached the point of exhaustion, which I was able to relax and let go indeed. I remember the first Star Wars film, and what stuck most with me was how everyone, even Darth Vader could access The Force. Yes, both good or evil had access to The Force. The Force didn’t judge the motives of those who used its powers. It gav e them whatever they requested unconditionally. It was always up to the person what they did with the skills they received. Though the Force is made up in the mind of the author of Star Wars, The Forces attributes paralleled the attributes of those of God or The Creator whom I call The Spirit. Most of all I caught The Forces show of unconditional love flowing out to every entity. The Force always left it up to the individuals to do with the gift of the power whatever they chose. The actors choice was to give The Force a level of influence in their lives; the actors are much like us when it comes to The Spirit; we can choose to be novices or masters. 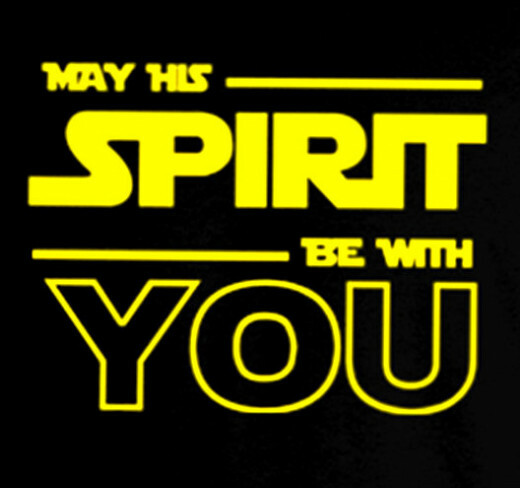 Like The Force in the movie, The Spirit in real life, when given mastery in our lives, heals us and strengthens us. Provides us with mental clarity and the ability to do anything we believe we can do. 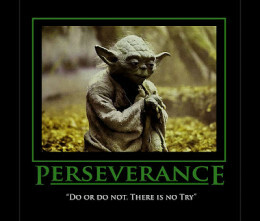 So, for me, the terms The Spirit and The Force are synonymous and being a Spirit Man is a lot like Yoda being a Master. So, today as a man, I AM also The Spirit for It lives in me and through me, its hard to explain, but It’s now becoming me, maybe I AM becoming a master. The choices are mine as to how I use the gifts given to me by The Spirit. I can choose the “dark side” or the “Light.” Today, I want The Light and to use The Spirits gifts to help me give, or better yet BE unconditional love towards all mankind, all sentient beings, and the earth. The rest of this article is just about the spiritual journey of how I got to where I AM at this moment. I hope you will join me, and may The Force be with you. Do You Want A Spiritual Awakening? If you are like me, you feel the need for a spiritual awakening at the very core of your being. This desire is ever-present, always there, softly humming in the background of my consciousness. It’s inside me, and outside of me, it encompasses me and everything in my world, all the time. In my space, I mostly call this presence Spirit or Love. 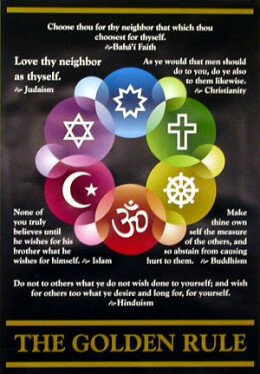 I always want to make it easier for me to relate, to people of different cultures, religions, and spiritual practices. So I defer to them and interchange Spirit and Love with whatever name brings comfort to that person. What Is The Spirits Name? Being human means, we must have a name for everything. There are so many names for what really in truth is nameless. Jesus, God, Life Force, Yahweh, The Field, Spirit, Love, etc. To say the name of this presence has to be exactly this or that limits It to the religion of the mind and the form of my (our) thoughts. Knowing we humans need to label and name to relate, I will use the names Spirit, I Am and Love throughout this article, feel free to replace these names with any name, you find comforting. When I was younger, I was taught that the Spirit only wanted to be with certain people, of particular religions, which performed certain practices and, and, and… It’s now obvious to me; the Spirit wants to be one with me, you, and everyone. Yes, no one is excluded from the Spirits unconditional love and desire to be one with all creation. There is no religion or spiritual practice that will bring us any closer to the Spirit then we already are. As I grow in age and gain more wisdom, I am coming to believe that before any of us ever sought after the Spirit; the Spirit was already with us. Actually, in us, the Spirit just patiently waits for us to know, we were already one and the same. How many times have we felt the Spirit’s presence, but we could not quite connect with It? Sometimes the presence of the Spirit is so strong It causes us to tremble, at other times it’s barely perceptible. We cannot see It, yet we know the Spirit is where ever we are. It’s a primal knowing, which we have felt since the beginning of time, It’s presence, is here, now, and we like It have no beginning and no ending. We sense the Spirit drawing us near, softly whispering, deep calling unto deep, eternally in love with each other. We have known in our heart of hearts, since the beginning of time, that our very souls have always cried out, praying that we would be immersed in the very essence of the Spirit. Having this kind of relationship was needed for us to feel complete. For some of us, we thirst after the Spirit, longing to be immersed in It, filled with It, and know that we will only feel at complete when we are one with the Spirit. I cannot speak for all men, but most of those who I have known, have what I would call inherent Spirit knowingness. 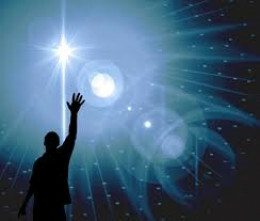 This knowingness bids them, call out from the deepest recesses of their souls, for the Spirit to come commune with them. They cannot rest until they are one at heart with the Spirit. Their hearts are aflame, as they seek the filling of the Spirit. With a burning desire, they ask the Spirit to guide them and show them how to be love and see the world and all creation through the eyes of love; for in our hearts we know that the spirit is pure unconditional love. Many of us feel desperate, somehow we are like little children who cannot feel safe and complete, without their moms and dads. The Spirit is our mother and father! We search high and low for the Spirit; we cry out from the depth of our souls for the Spirit to come and be with us. We long to see ourselves, the earth, and all sentient beings through the eyes of the Spirit. We know in our hearts the Spirit can only give us what we need; hearts aflame with unconditional love for ourselves, the earth, its creatures and all mankind. When I was younger, I did not understand that the Spirit and I were one. I only knew that I longed to know the will of the Spirit, to be filled with the Spirit, and to love myself and others as the Spirit loved me. So, like a thirsty man in the desert, I have searched oasis after oasis, followed many “narrow pathways” that promised me living water. Being lead to the wells, I drank deeply, but never was my thirst quenched, and never did the water come freely. I became disillusioned and was left tired and empty. My thirst was unquenched. Leaving my body, soul and spirit depleted. on and put my fate in the hands of the universe. I rested and even feel asleep. When I awoke, I looked into the silence of the desert, and like a mirage shimmering out of desert heat I saw a figure, a form, a man walking on the heatwaves, he was beautiful, and had a flask of water strung across his chest. He came to me, knelt at my side, gently lifted my head, put the drink to my lips, and for the first time in my life’s journey, living water flowed across my lips, and my strength was restored. I looked deeply into his eyes and thanked him for coming to me when I had given up all hope. He only said it is good that you have given yourself up. Now rest, relax, be quiet, knowing I AM with you, for we are one, and I am you. I will always be with you in this world without end. Antonyms: contract, tighten. tense. restricted, holding on. cause (a limb or muscle) to become less rigid, antonyms: tighten. make (something) less firm or tight.” relax our hold” antonyms: contract, tighten. make (a rule or restriction) less strict while not abolishing it.” they persuaded the local authorities concerned to relax their restrictions” antonyms: tighten up. Wow! Did you check out the antonyms? They described me whenI was so focused on finding the Spirit. i.e., contracted, tightened, rigid, strict, holding on. When the Spirit saturated me with His living water, quenching my thirst, I realized for the first time who I was. I no longer needed to rely upon, or trust the words of other men, or drink from their wells. Today, my reliance on the techniques, ways, and things of the world are fading fast. 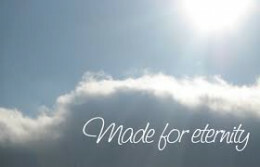 I now know that it’s the Spirit, being one with my spirit, that breathes eternal life in me. Whispering to me softly, the Spirit is guiding me gently on my spiritual path, the Spirits path, the only path that matters, for it is the only way into eternity. I am free from judging myself, and others. No oaths to keep, no religion to hold onto, no work to do, no enemy to fight, no one to overcome, no thoughts to resist. I can just relax and be myself, my beautiful self, my spiritual-filled self. 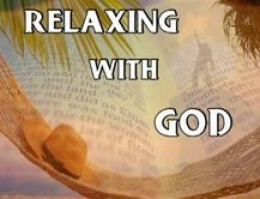 Relax With The Spirit… Rest With God. 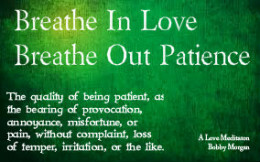 My life in the Spirit is not about doing a certain meditation or saying the right prayer. It is not about me teaching someone else “the way.” The Spirit can handle that. For me, life in the Spirit is truly an absolute experience of Resting and Relaxing in the Spirit. Letting myself be embraced and cradled. Trusting in the stillness, relaxing in the assurance that the Spirit is there, ever present so I can lay down my thoughts on what should be and relax, into the arms of the one who loves us without any conditions…the great I Am. It’s That Easy To Know The Spirit… We Just Need To Relax. I now know what Jesus meant when he said: “resist not evil.” Wow, how simple the Spirit has it handled, so we can relax, lay down our protections, our fear, and our walls. When we relax and just acknowledge that the Spirit has it covered, we will see evil dissipate, in fact, it implodes upon itself and disintegrates. If there is even anything such as evil, it loses its foothold when it comes to the light of the Spirit, the master of unconditional love who abides within us and with us all. When I refrain from the mental struggle surrounding good and evil, the past and the future, I make room for the Spirit to be able to pour more living water into my soul. 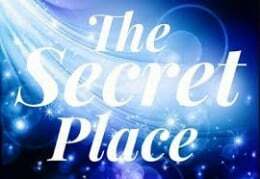 Together we resume our rightful place in my earthly life experience. We are once again able to relax and function in the present moment; quickly obtaining all that is necessary for us to experience the fullness of our existence. As my spirit rests and relaxes in the divine consciousness (HOLY SPIRIT), Spirit speaks to my mind, and I understand that wherever I am is Holy Ground. So what else is there to do, but to smile, breath and relax for I am in the best place ever. The Spirit Hides Us In A Secret Place. Because we have made no human effort, we have resisted no evil, having stopped fighting temporal powers, we have now opened ourselves to the way of the Master. The way of the Spirit, the way of the Creator. For now, we can relax and live in GRACE, instead of fear, judgment, and shame. We can now relax and live our lives in the present moment, the time when temporal power no longer affects our peace. 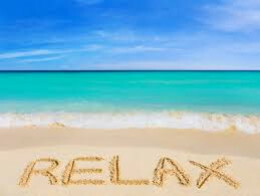 Now let us all go into the presence of divine grace and relax. We no longer fear anything as we live in Spirit’s Divine Grace, in Christ consciousness, in God’s love. Robert C Morgan, “Bobby” Doctor of Holistic Healing and Counselor.